What better way to insert some academics into Valentine's Day than a close read? Another opportunity to interact closely with text, and a highly engaging topic make for lessons strong enough to stand up to an evaluation! 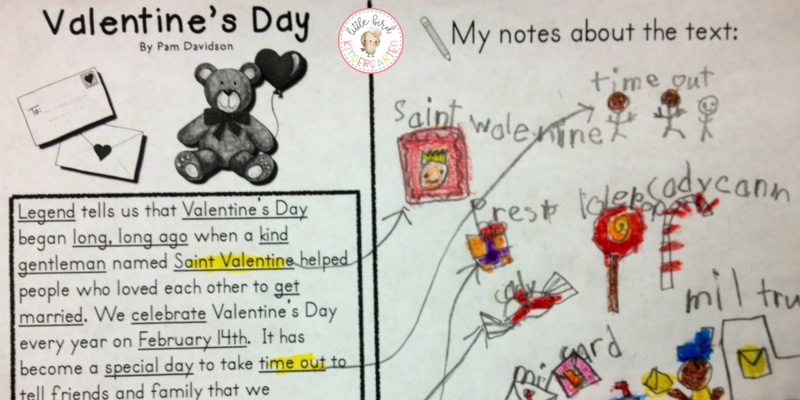 Kathy J. told me she used the Valentine's close read with annotations for her evaluation last year (on Valentine's Day) and she rocked it! Good job, Kathy! My only question is, what were they thinking scheduling an evaluation on Valentine's Day?? Sounds kind of awful, but Kathy made it work! The truth is, it's all in the presentation, and even when they're super excited and full of energy we can always find productive ways to make the day a day full of learning! This close read is part of my Close Reading for Kindergarten & First Grade February March Edition. 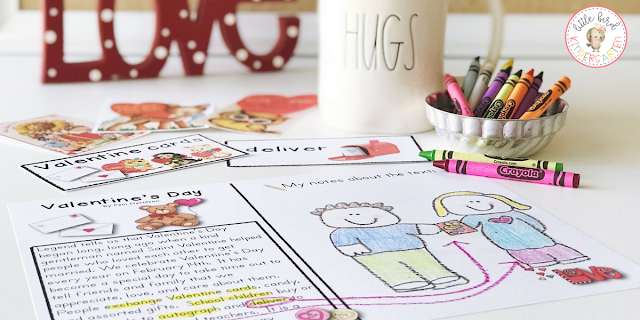 Also included are passages, writing prompts, vocabulary cards and write the room for Groundhog Day, President's Day, and St. Patrick's Day.